Shopping online for a great golf vacation package is an easy way to find good deals on a variety of golf resorts and destinations. Whether you already know where you want to go, or you are open to different ideas, looking around online will open your eyes to the incredible number of golf resorts around the world that are ready to take your business. Picking the right golf vacation package will come down to your budget, your preferred destination, and what you would like to do when you aren’t on the course. Start very early. Once you have an idea when you would like to travel, start right away looking for packages that you could take advantage of. The more time you have ahead of your travel dates, the more opportunity you will have to shop around for the right deal. You don’t want to feel rushed when trying to make your decision, so get started as quickly as possible. Use a variety of resources. Don’t tie yourself down to any one website – especially early in the process. Shop around to a few different sites and see what various golf packages they have available. There will likely be a lot of similarities, but you may be able to find a deal in the group. Find one that suits your needs. It won’t do you much good to book a golf vacation package if that package includes things you don’t want or need. Make sure to find a golf package that is well-suited to your needs, and only includes elements that you want. Not always the lowest price. Everyone wants to get a great deal, but don’t assume that the lowest price offer is the one you want. There may be conditions that apply to that low price that don’t match with your needs. Take the time to understand everything about any golf package that you are considering purchasing. Get the right courses. When you take the time and spend the money to go on a golf holiday, the focus should be on playing the courses you are most interested in and excited about. 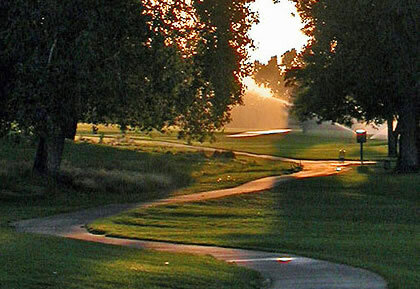 Make a list of courses that you would like to play and then find packages that include those options.